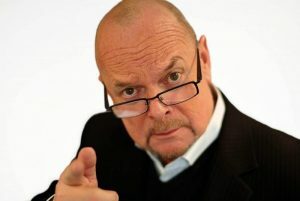 talkRADIO has announced that veteran broadcaster James Whale - once sacked by sister station talkSPORT - is to host its weekday evening slot. Whale will take over the mic from 7pm to 10pm on Mondays to Thursdays following the departure of Jonny Gould. Whale, who starred in the recent series of Celebrity Big Brother, has been covering drivetime on the Wireless Group-owned station in recent weeks. The 65-year-old previously presented on talkSPORT for 11 years until 2008, but was fired from his late night phone-in for asking listeners to vote for Boris Johnson in the London mayoral election. He's previously hosted shows on Metro Radio in Newcastle, Radio Aire in Leeds and LBC in London. The appointment will see current evening host Jonny Gould move to late afternoon on a Sunday, where he will host a review of the day’s newspapers and all the latest news. George Galloway continues to host his regular Friday evening show, The Mother of all Talk Shows, for talkRADIO every Friday (7pm to 10pm).